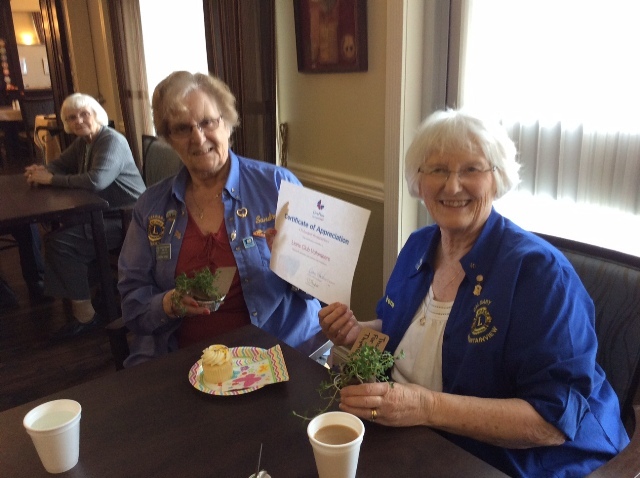 Lions Irene (right) and Sandra receive Appreciation Certificates from the Colonel Belcher Retirement facility. Mountainview Lions visit the Colonel Belcher twice a month to play trivia games with the residents as well as host birthday parties. Mountainview's newest member initiation. 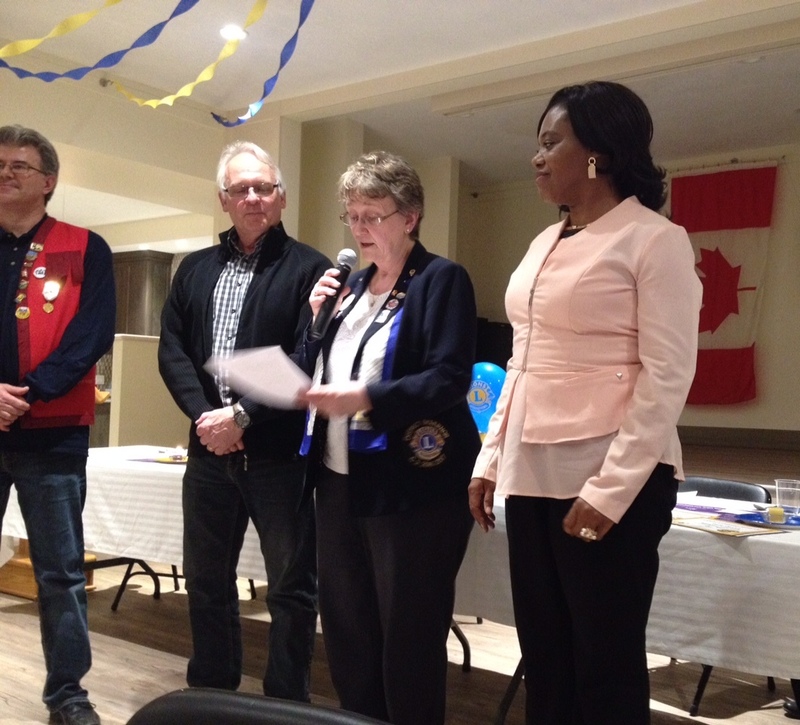 Lion Catherine (far right) became a Lion on April 3rd, 2017 at the joint meeting of the Mountainview, Bearspaw, and Springbank clubs. Lion Colleen taking a shift at the Canadian Lions Eyeglass Recycling Centre. 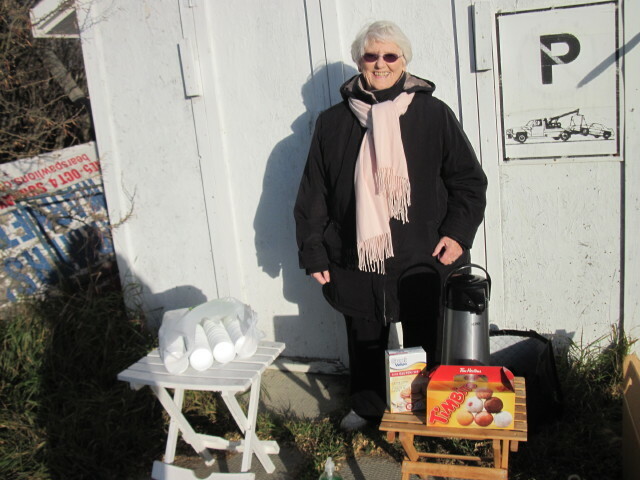 Lions clubs in the region are regularly scheduled to take part in workshops at the CLERC warehouse. 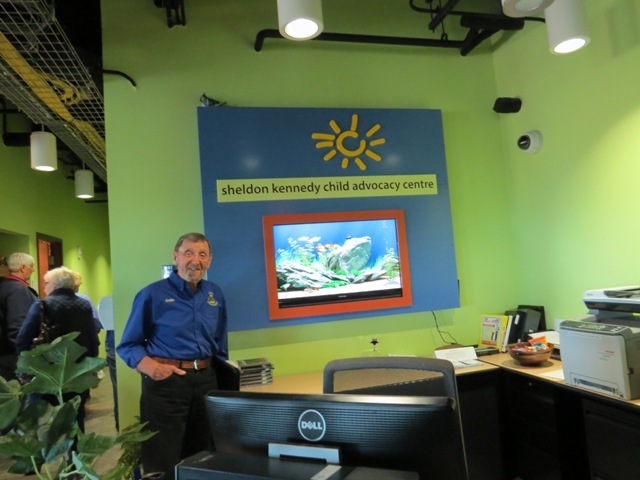 Lion Colin on a club tour of the Sheldon Kennedy Child Advocacy Centre in Calgary. The Centre was established to treat children who have suffered abuse. 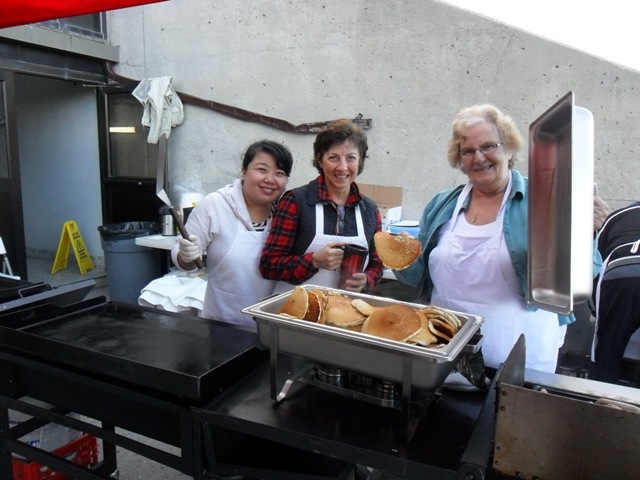 Lions Shiny (left) and Sandra (right) with volunteer helper (Belle) BBQing at the Twin Arenas Hockey Tournament. 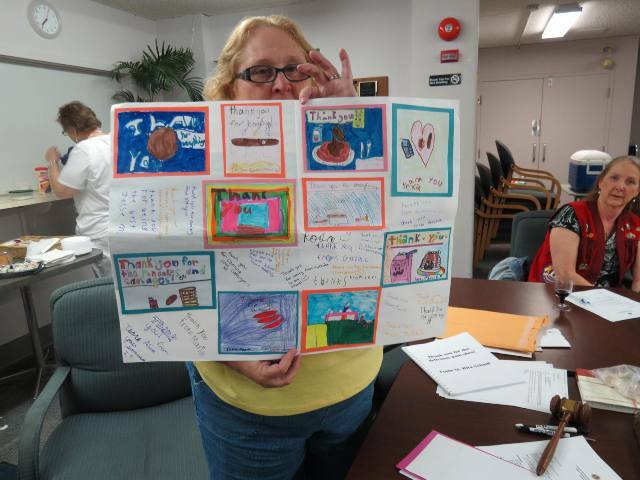 President Betty Ann showing a few of the "Thank You" cards the club received from students at St. Rita School in Calgary for the amazing breakfasts provided by the club to the students and teachers. 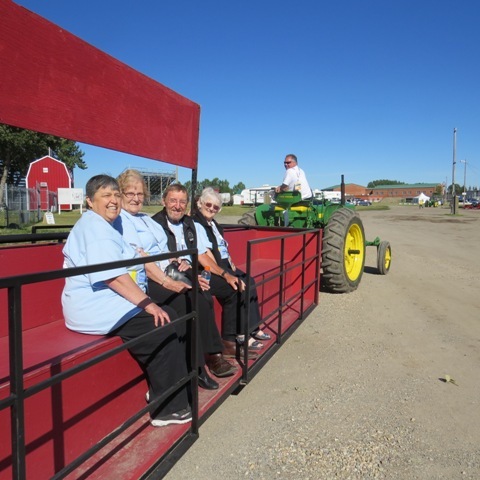 Lions Dodie, Sandra, Colin and Irene volunteering at the Alberta 55+ Summer Games in Strathmore, AB. 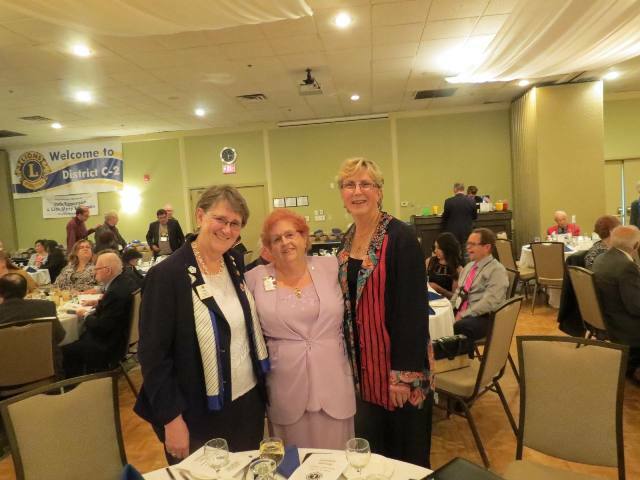 Mountainview Lions (l to r) Gail, Margaret, and Carol at District C-2's first Convention in Lethbridge, AB. 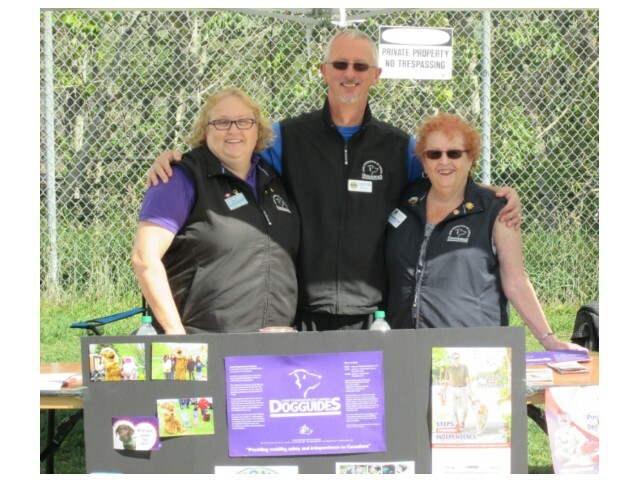 Lions Betty Ann, Steve, and Margaret promoting the Walk for Dog Guides at Calgary's Ambassadors Off-Leash Event in September 2015. The Lions not only promoted the Dog Walk held each May but also the national Dog Guides program. Thank goodness for the hot chocolate and tim-bits! Lion Irene ready and waiting for the highway clean-up team to return. Not a bad day on the highway, but a bit chilly.